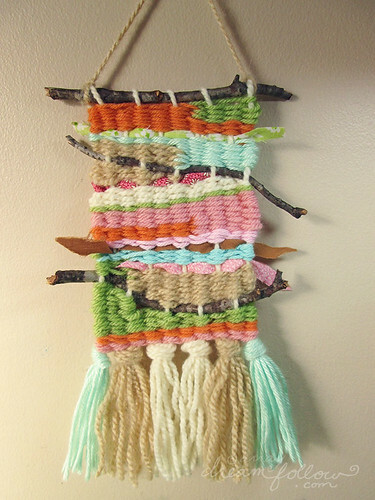 I finished another weaving in pretty sunset colors! I'm really enjoying making these. 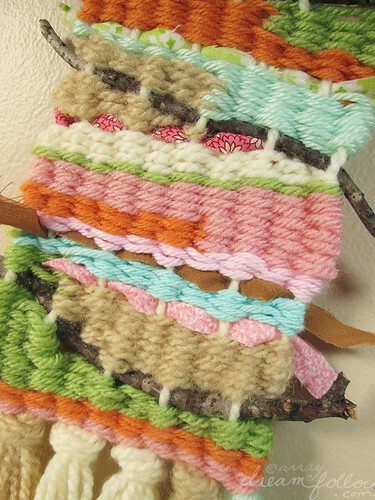 This one has scraps of fabric and some twigs woven in between the yarn for lots of texture. It's available for purchase (along with a few others) in my etsy shop today!